There’s no way around it — divorce is freakin’ hard on families. 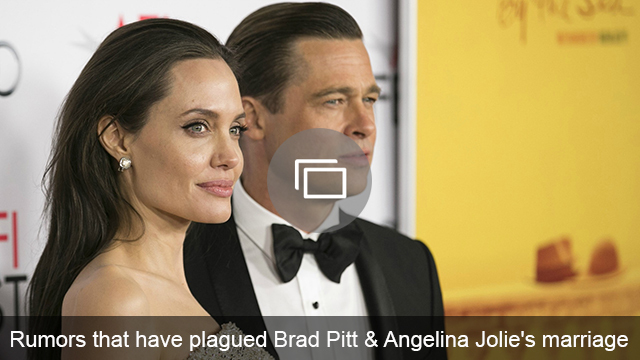 And from the sound of things, that reality is starting to hit in the Jolie-Pitt household — sources say the kids are taking the two actors’ unexpected split pretty hard. Angelina Jolie and Brad Pitt share six kids: Maddox, 15; Pax, 12; Zahara, 11; Shiloh, 10; and 8-year-old twins Vivienne and Knox. Following Jolie’s shocking divorce filing two weeks ago, a source close to her told People magazine that she’s “staying strong for her kids” and that Jolie and all six kids are now in therapy. “It’s been a traumatic situation,” the insider added. All six kids have been staying with Jolie in a rented home in Malibu since news of her split from Pitt went public. Jolie is filing for sole physical custody of the kids in the divorce, while Pitt is fighting her — he wants shared custody. But when rumors of child abuse started swirling after Pitt was investigated for an incident that happened on board the family’s private plane, the custody issue got more complicated. Pitt has agreed that he’ll only have supervised visits with his kids for now, and the first visit will be in the presence of a therapist. Meanwhile, the kids are going a little stir-crazy cooped up with their mom, who’s keeping them out of the public eye for now.